If Assange is not released they have promised chaos and the biggest cyber attacks yet. Will they take down the entire UK government? Let’s wait and see. Barr said during the conference he believed Wikileaks were given the DNC leaks from Russia. There still is no proof of this as Assange has stated several times in past interviews, he did not get them from any government. The only attempt Barr has is the hacking charge afainst Assange to brinf him here. Will they then add charges? However, it does raise the debate who is truly ruling this country behind closed doors. Fact remains that Assange only published what was given to him and he is innocent of any crime. A recent affidavit was unsealed from the FBI showing charges filed against Assange in December of 2017 by special agent Megan Brown. “The sole “evidence” against Assange is chat logs, in the possession of the US government, which Brown and US prosecutors claim are of online conversations between the WikiLeaks founder and Chelsea Manning. This directly shows why Manning was jailed for refusing to testify against Assange over a month ago. Without Manning’s testimony, they have no legal grounds to prosecute the Wikileaks founder. 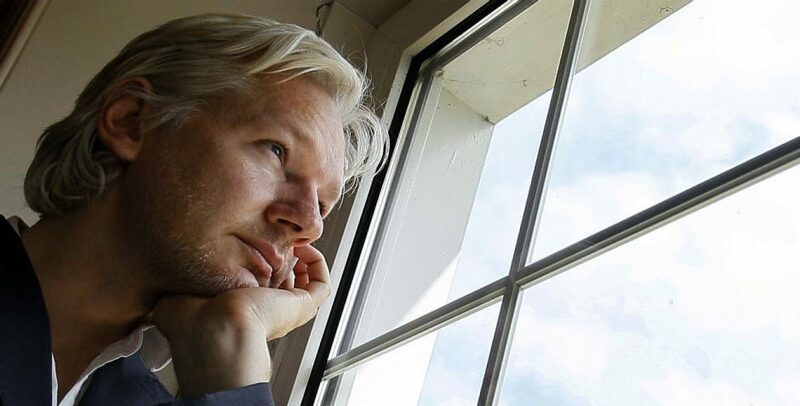 It has become obvious that once extradited the DoJ will pile on other allegations against Assange under the ancient espionage act dating from World War One. The current charges only hold a maximum of a 5 year prison sentence if found guilty. Why would any country waste their time and money on a 5 year sentence? The US has 63 days to turn a full extradition warrant into the UK before the British courts can even rule on the extradition. The US is simply being dishonest in their explanation in order to get him into the country. Julian Assange is being pursued for doing his job. Julian Assange is not just a journalist. He spent many years working on encryption and was the p5uoneer of encrypted lockboxes that many publishers use today to protect their sources. His organization Wikileaks pioneered a new form of reporting via the internet. They invented a style of giving information to the public through a scientific method of verifying the accuracy of that data. He literally changed the news as we know it. His fearless fight against lawless governments and corruption workdwide has made many hail him as hero. While many countries call him enemy of the state for his straightforward approach on revealing the facts. In 11 years, Wikileaks has never had to retract a single item of data due to its form of verification. The US DOJ wants to extradite him on a decade old leak showing Afghan and Iraqi war crimes committed by the US military. However, prosecuting Julian Assange is a direct attack on journalism itself due to the precedent it would set. By prosecuting Assange it would be the end of truthful revealing facts against lies told by governments. It would enable the jailing of journalists for reporting the truth. The EU parliament stated recently they are concerned for Assange’s well being if extradited as they passed a whistleblower protection act. They also agreed that the EU should give him asylum though it is doubtful that the British leadership will relent. The UK seens to be hellbent on serving it’s former colony. Many media personalities claim Assange is not a journalist due to what they call “data dumps”. This is wrong due to the fact that that Wikileaks redacts its leaks to ensure safety as much as possible. Besides, the list of Assange’s journalism awards is huge. The EU recently awarded him the Galizia award for whistleblowers and the Defenders of the right while he is incarcerated. This year he was also nominated for the Nobel peace prize. Assange is an innovator and a pioneer far ahead of his time and journalists everywhere should appreciate what he has done for the future of reporting. People should stand up and fight for the man who only wanted justice for the innocent and for us to have the ability to speak out. Anonymous is now taking on the United Kingdom with cyber attacks and loads of info being leaked. Anonymous is a large group of hacktivists who attack servers in order to gain information. They have promised the biggest move ever by their group if Julian Assange is not immediately released from prison. He was taken from the Ecuadorian Embassy in London last Thursday after President Lenin Moreno illegally revoked his political asylum. The move is against international law for refugees and outrage worldwide is being seen through protests. Anonymous has reminded Ecuador after over 16 million attacks this weekend they are not done with them yet and warning the US government as well. Note: Assange and Wikileaks are not affiliatex with Anonymous. They are simply publishers. Recently, Anonymous has also warned the United Kingdom to release Assange or suffer chaos. It remains to be seen what will happen next. Note: Wikileaks and Julian Assange have no affiliation with Anonymous. Wikileaks and Assange are publishers. After a weekend of cyber attacks on Ecuador for expelling Assange, Anonymous is threatening to take it to the next level. They intend to take it to the UK government sites. Threatening the worst attacks inhistory by Anonymous, they warn England to beware.After Assange was arrested last Thursday when Ecuador let the British police into the embassy, there has been a huge public outrage as well as smears by the press. The demands of Anonymous are clear. UK BEWARE!NOTE: Wikileaks and Julian Assange are not associated with Anonymous.Wikileaks and Assange are publishers, not hackers.